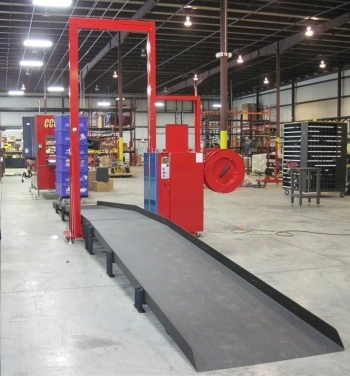 RED Stamp’s Automatic Security Strapping system are featured in distribution centers across the nation and are a top choice for tobacco, and retail operations. Automatic Security Strapping Units are productive alternatives to manual threading and strapping. Strapping units perform at approximately 40 straps per minute and allow for single and multiple totes and/or boxes to be securely strapped. Strappers accommodate a wide range of operation requirements from inline units that secure single totes, to larger floor models that strap stacks of totes onto dollys. RED Stamp Automatic Security Strapping system are the premiere option to reduce direct labor, increase throughput, and strengthen the security of distribution facilities.